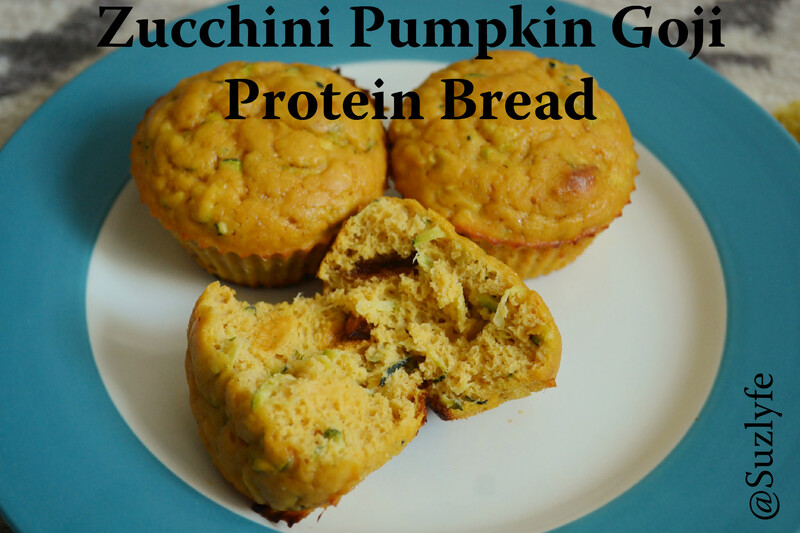 I finally got the chance to remake one of my favorite recipes this week: my Zucchini Pumpkin Goji Protein Bread. Sure, pumpkin is “so last season” by this point, but I don’t care. I love love love to bake with it. And sure, zucchini is more of a summer vegetable. But I eat it just about every day, and love to bake with it, too! And, to be honest, I have no idea what season goji berries peak during, but we all know that they ain’t local (they’re from the Himalayas), so it doesn’t matter. And protein, and bread, for that matter, is ALWAYS in season. Love to Laura and Kierston! As always, please adjust according to taste. I include some substitution suggestions at the end. Also, adjust times/temps as best works for your oven and the type of baked good. The first time I made this, I used mini loaf pans, this time I did muffins. 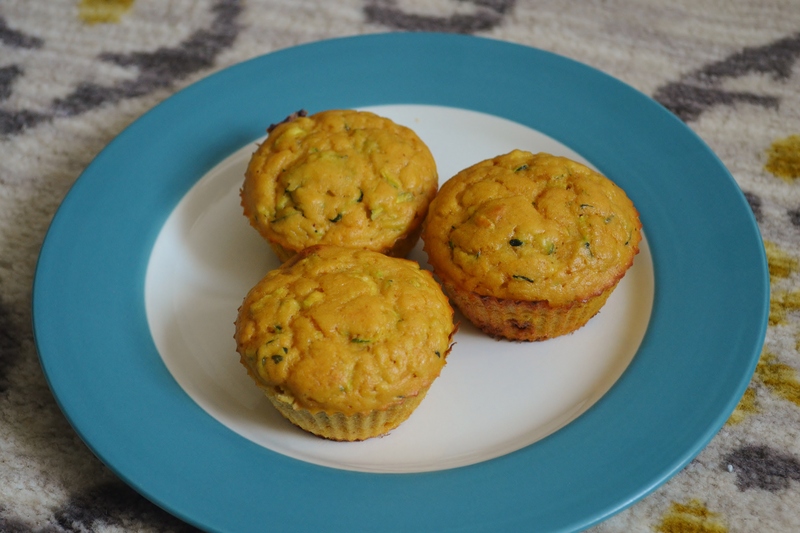 So many incredible flavors in one fabulous protein muffin! Make with Gluten free flour if needed. 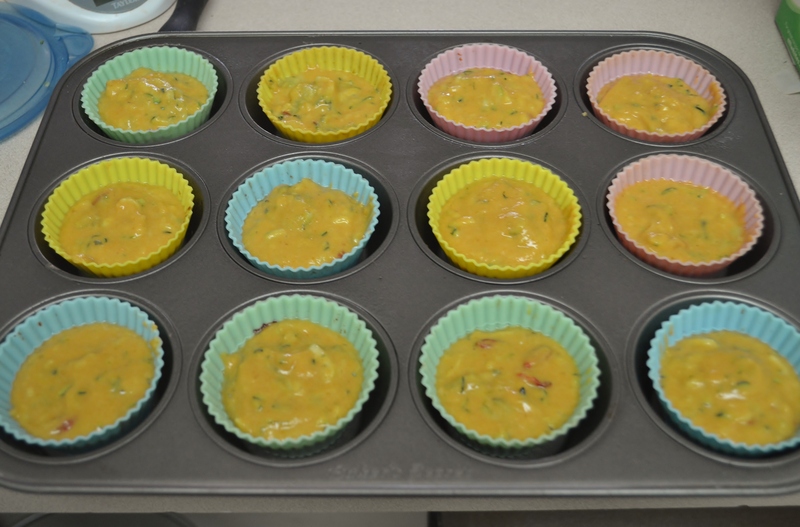 Preheat oven to 350 F (or preferred temp), assemble muffin tin or bread pan, line with silicon baking cups or parchment paper, spray nonstick over top. Measure and mix dry ingredients (stir with whisk or fork to evenly distribute). Add berries and mix again. Measure and mix wet ingredients in separate bowl (mix well). Reserve zucchini to side. Wet -> dry, fold with spatula to mix and scrape bowl until well combined, batter should be a little on the thick side, sort of like a thick pancake batter--remember that zucchini will add more moisture. So fold, spin bowl, fold, spin bowl, and it will combine. Add zucchini to batter, breaking up with hands to help distribute. Distribute batter to baking pan. I got about 2 full and rounded tablespoons for 12 muffins. Let rest for a few minutes. Bake for 20-25 minutes (for muffins), rotate halfway through. I pulled mine when the toothpick had a little residue and the tops were springy and golden, but not hard. Let cool, and enjoy! Great with everything, especially if you don't make them too sweet. 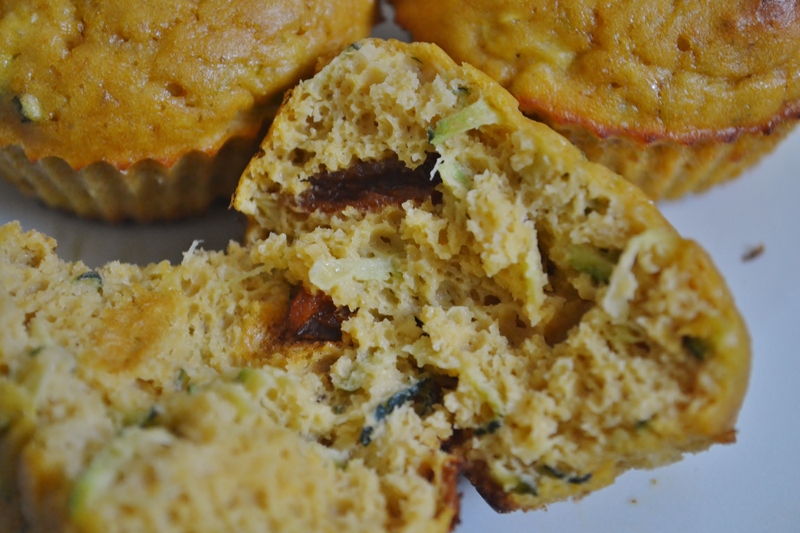 Zucchini can be substituted for carrot, done as a mixture, or use both! Orange zest would give a great zing! Applesauce and or banana will also heighten sweetness, avocado will add more creaminess and fat content. Nuts would be a great addition! 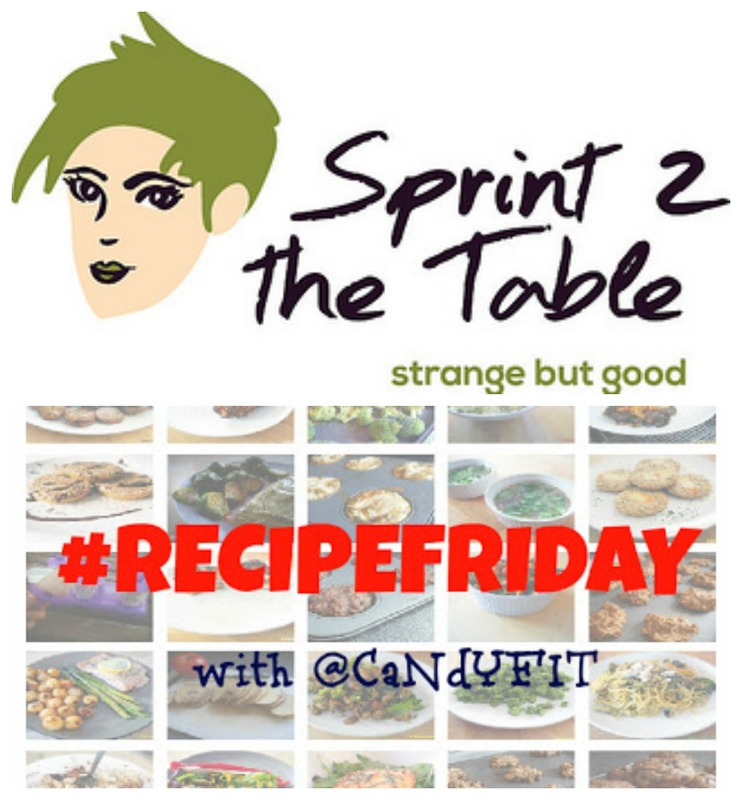 I would stick to dried fruit for this, because you are adding so much additional moisture from the zucchini, but experiment away! Dried banana chips, raisins, craisins, apple, go for it! Can also lessen pumpkin, and increase yogurt for more protein, but this may make for a denser product. Have Fun Experimenting, and Let Me Know what You Think!